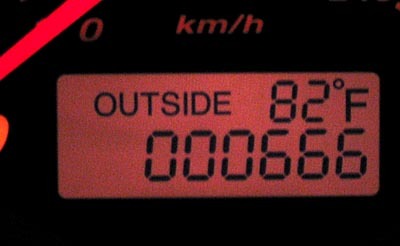 At the end of the work day I looked to my Honda’s odometer to log my ending mileage and was greeted with this reading. I immediately thought 'hot as hell' as soon as I saw that pic. You'll have to ask Mike, you know how he loves Lulu's.